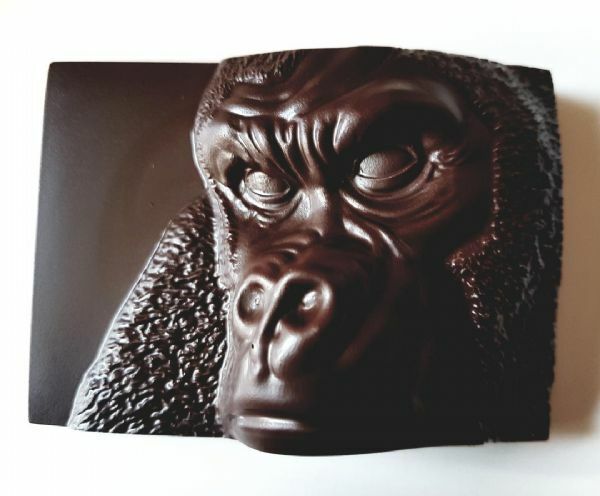 Chocolate Gorilla handmade to order using a divine dark chocolate. This stunning dark chocolate bar has great detail. A great gift for Gorilla lovers. Each Gorilla bar is individually wrapped in cellophane and can be personalised with a greetings message. 80 grams.